This post is a bit of a spin-off of my Stereotypical Characters, as well as Foreign Languages posts. While I wrote the former to illustrate the dangers of lazy character writing, and the latter to promote something that could be a boon to your story, I realized that I had missed something very important. The middle ground, or as I like to call it, White Washing. Now, the term white washing has been thrown around a lot in the media but I don’t define it as having anything to do with the characters’ skin color. I use it to identify either main, or ancillary characters that blindly follow the hero and/or villain. It’s blah. It’s boring. It reflects the fact that writers forgot that their characters are supposed to be real people too. Everyone thinks in their own way! Everyone has their own particular way of seeing the world! This should not be lost in your writing! Unless you’re writing about these two, of course. Just because someone’s the hero, does NOT mean they’re doing the right thing all the time, and if they are, you should go back and take another look at your character development before you go any farther into your manuscript. People are flawed and have blind spots. My favorite way of writing is to have different characters make up for the blind spots of others, especially when they’re on the same team. I especially like to see this play on personality when two people are working toward the same goal, yet from a totally different direction. 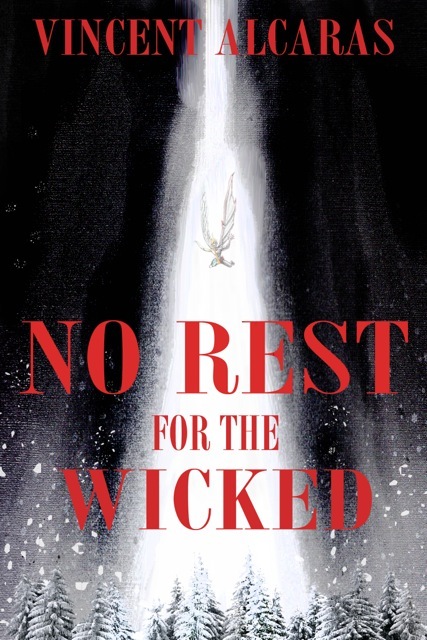 For example, in my book No Rest for the Wicked, there are two main characters Nico Docrenzov and Detective Harlan Colter. They’re both working to stop the terrible murders happening in Los Angeles, but they’re working from different angles. Obviously, Nico knows that he hasn’t committed any of these crimes but, unfortunately, he has the misfortune of being in the center of the investigation due to all of the evidence pointing straight to him. Now on the other hand we have Harlan Colter, the veteran LAPD detective who takes his job a little too seriously at times. Due to him being a seasoned detective, you know he’s going to follow the evidence wherever it takes him. He’s a cop. They’re trained to think and work in a certain way. Despite the fact that Colter’s working against the main character who we are (hopefully) empathizing with, it doesn’t make him a bad guy. Simply a good man who’s doing his job to the best of his abilities. They’re both on the same team, and are working toward the same goal, but they’re doing so through totally different avenues. There’s no way that you could expect people with such differing life experience and circumstances to agree and operate in the same vein. And cue the visual aids…. If Nico and Colter had just met up one day, gave each other a high five and said, “Let’s do this!” Half the plot of my book would have been rendered moot, and it would have been that much less interesting. Look at it from the other direction, how amazing is it when one of the villains suddenly does something heroic in the final act. Would Return of the Jedi have been nearly as good if Darth Vader hadn’t killed the Emperor in the final act to save his son? People thinking for themselves and changing their mind is a part of human nature. It’s one of the heart strings that you need to tug at. Everyone’s been in a situation that they didn’t expect to encounter where they suddenly didn’t agree with everything that’s going on. You need that in your writing, if you over look it, I promise you, you’ll regret it heavily. I do not own any of the rights to the images used in this post. If you do and you want them taken down, please contact me through this site and I will take care of it.